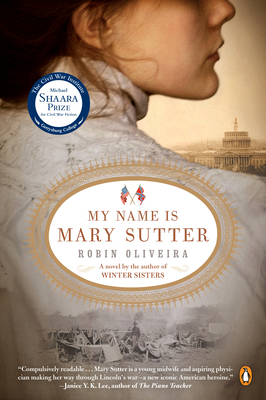 The end of My Name Is Mary Sutter is both satisfying and surprising. What was your response to the conclusion of each character's story? Women's rights have greatly expanded since Mary's time, but do you believe that women are still limited by prejudice as to what they can or should do professionally? Do you believe men and women should have different roles or responsibilities within society? Beyond Mary, which character did you find the most interesting? Why? Which character did you find the least interesting? Blevens explains that he cannot accept Mary as an apprentice because of the Civil War. Do you believe he would have taken her on had the the war not begun? Why? As a woman and midwife, Mary has a particular kind of medical knowledge; Blevens and Stipp have another. What are the values and limitations of each? How does Mary eventually blend the two? Describe Mary and Jenny's relationship. What type of tensions exist? Consider the relationship from both women's perspectives. "From labor to death, she thought, despite every moment at the breast, every reprimand, every tender tousle of hair, every fever fought, every night spent worrying, it came to this: you couldn't protect your children from anything, not even from each other" (p. 43). Do you believe Amelia is right? What experiences from your own life make you feel this way? How is Dr. Blevens affected by his experiences during the Civil War? From Jake to Thomas to William Stipp, there is a wide range of male characters in the novel. What type of masculinity does each demonstrate? Have you ever struggled with the same kind of professional or personal obstacles that Mary does? How did you handle it? What did you learn from the experience?